Breaking up is hard to do. We know this, not only because it has probably been true in each of our lives at one point or another, but also because we learned it from a song. It stands to reason, then, that breaking up with (or simply letting down) a tortured artist is even harder than breaking up with your average Joe/Jane. Therefore, if any of you are strongly considering temporarily dating a famous artist/musician, keep in mind that some of them will handle the end of the relationship better than others. A word to the wise: If she has an unrequited crush on you, she will write a song about it. If she has a happy relationship with you, she will write a song about it. If you break up with her during a 27-second phone call, she will certainly tell Ellen Degeneres about it on her show, but there will be a song describing the situation as well. Whether you’re John Mayer, Joe Jonas or a nameless non-celebrity boyfriend she briefly fell for, you will become infamous to all who read the tabloids and listen to the radio sometimes, and little girls everywhere will hate you (at least temporarily). Taylor Swift comes across as sweet as apple pie, but when it’s time to write new songs, the claws will come out. Unless you want to find an ear in your mailbox, I suggest you don’t even bother with this one. Just admire Starry Night from afar. Rumor has it (ha, Adele pun!) that Adele’s entire sophomore album was inspired by one ex-boyfriend in particular. I have yet to hear a my-life-is-a-perfect-fairy-tale-and-my-boyfriend-is-Prince-Charming love song performed by Adele, but her powerful breakup ballads are pure gold. Having said that, I’m willing to bet that there’s a certain ex-boyfriend of hers out there who furrows his brow in frustration (because seriously, what else can he do?) every time one of her songs wins another award for its ingenuity. If you date Adele, don’t expect a feel-good song about your relationship to make it onto her next album. However, if you simply want to contribute to the greater good of the music industry for the love of art, then end the relationship badly and her talent will only continue to grow. 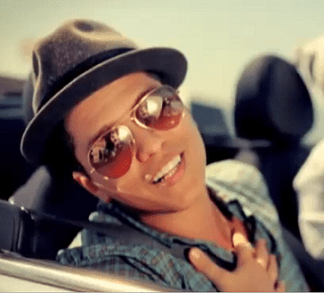 For one thing, Bruno Mars loves you unconditionally. He thinks you are perfect in every single way and will do anything you ever ask him to do, even at his own expense. And yes, he may have his legal issues, but he won’t judge you for yours, so who are you to judge him for his? If you ever have to end things with Bruno Mars, please be gentle with him. One of his recent songs, It Will Rain, demonstrates that he definitely can’t handle a breakup right now. My sister and I discuss poor Bruno all the time in relation to this song, and we feel that he must be crying out for help here. Ladies, be nice to him… guys like Bruno Mars don’t just pop up in nature… and if he loses you, there will be neither sunlight nor clear skies, so an imminent breakup would not only be difficult for him, but it would also take a drastic toll on the state of our weather. What are your thoughts? Which artist do you want to steer clear of? This is so great.. my best friend and I were JUST talking about this! So funny. Thank you so much! 🙂 I’m so glad you enjoyed… thanks for stopping by! I think I’d steer clear of Chris Brown! Ooh so true! I’m still guilty of listening to some of his older stuff but he just creeps me out so much now, even though he’s claimed to have changed. BAHAHHAHAHAHHAAHA. I literally LOLed at your Bruno Mars commentary. Love you, Val. Hahaha thank you Kevina! 🙂 Love you too! This is gold. Blog gold, I tell you! Thank you so much! 🙂 That means a lot to me! I agree Taylor Swift comes off very sweet as pie. Adele’s gorgeous but I hadn’t heard that rumour …. though it does make sense. An interesting read, thanks! Great post as always, Val! Very creative! Thanks Beth! 🙂 I can’t wait to read some of your latest stuff! Thank you for being interesting. I was supposed to nominate people for a Versatile Blogger Award I got a few months ago. Your post inspired me to get it done today. You’re funny like that.